Li’l ones just out of their mothers’ laps received a warm welcome on their first day at school. Their favourite Cartoon characters like Doremon, Mickey, Spiderman and Batman shook hands with them and lured them to run into the school with sweets and balloons. Attractive tattoos were made on their faces and hands before they went into the arms of their teachers. 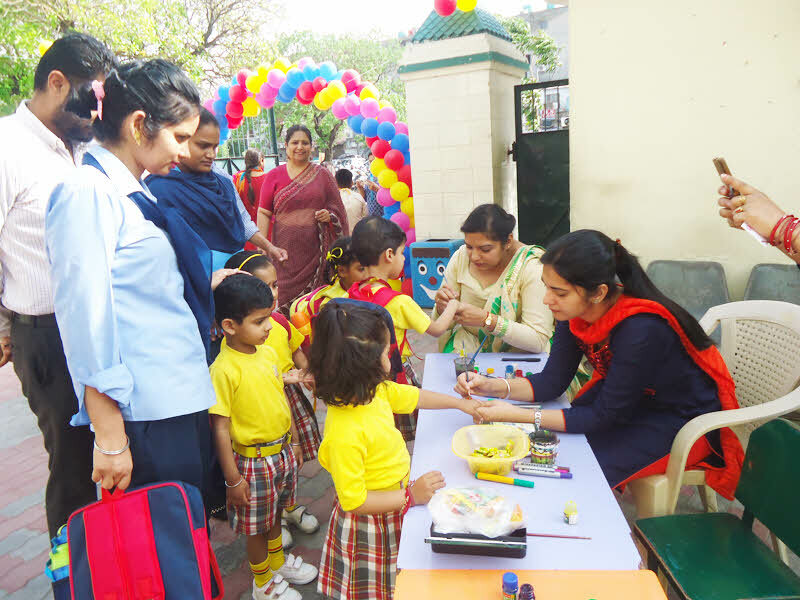 Nursery Rhymes, Songs and balloon decorations at the gate made the entire ambience lively for the young ones. Headmistress Ms. Amrit Kalsi gave a warm welcome to the newcomers and their parents at the gate.